Bronze Scottish Terrier in crouching position by the American Artist Marguerite Kirmse (1885 - 1954). 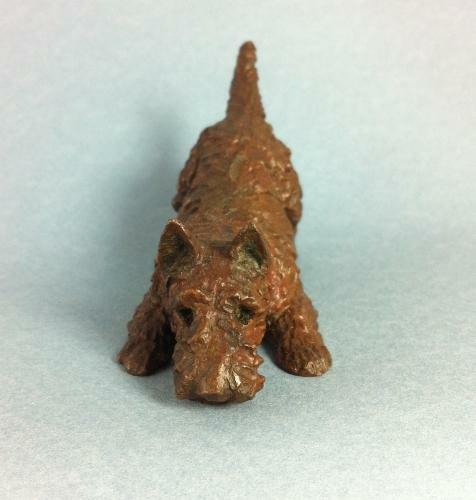 One of a series of small dog bronzes made by the Gorham & Co. Foundry. One of thirty. Marguerite is extremely well-known for her drawings and paintings of dogs, especially Terriers.